We have pups available from a co- owned litter, male and female, black/rust and red/rust WITH EARS CROPPED. Call or email for more information. *NOTE* pictures listed are actual pictures of MY dogs and puppies and not copied from other listings or websites like some breeders are doing these days. Always ask for more pics to be sent to ensure pictures are authentic and from the listing you are inquiring about. I have seen several ads on the Internet over the past years who post pics of my dogs and pups as their own! For more info, pictures, and parents health testing Call (703-967-945 one). Both sire and dam are on premise and health tested and pedigreed from IDC WORLD WINNER lines. No Z factored (white gene) in any of our lines. These pups are always placed WITH ears cropped, tail docked, age appropriate vaccines and de wormings, microchipped, started on heartworm prevention, AKC registration, health records of parents, puppy starter packets and sold with a written health/guarantee contract between buyer and breeder. Please contact us for more information on our sales contract/health guarantee, health testing, buyer requirements, pedigree and pictures. Most pups are sold with limited AKC registration as family companions to APPROVED homes ONLY and must be spayed/neutered as per contract. Full AKC registration is available to APPROVED show/working/breeder homes with breeder terms as per contract. If your not a serious pet owner and do not plan on keeping our puppy/dog indoors then please do not contact us as our dogs are not for you. We are NOT the kind of breeders who just sell you a pup/dog and then you never hear from us again. We DO stay in contact with our buyers and develop a long time relationship to ensure the well being of our dogs and are always eager to hear updates and receive pictures of puppies and dogs we have produced. These animals are part of our extended family and we are always here to help, answer any questions or help out anyway we can. Our dogs are bred first and foremost to be an ultimate loyal family companion and protector that is highly intelligent with exceptional temperaments. Most of our dogs go to family homes that have other dogs, cats, horses, children, and babies and live in apartments/condos, town houses, houses or farms. Of course our dogs are also sold to people who do live alone and like having the feeling of security in the form of a 4 legged animal that is gentle, loving, and protective to their masters. Our puppies are also bio censored (Early Neurological Stimulation) from birth. Purchase a PUPPY YOU CAN TRULY BE PROUD OF! Our puppies are professionally bred and raised with over 20 years of breeding experience and will make EXCELLENT FAMILY DOGS. Our canines are family orientated, stable, confident, and are naturally protective trusted family members. Our dogs excel in family personal companionship, protection, working, therapy and service dog use, conformation, obedience, agility and competition. 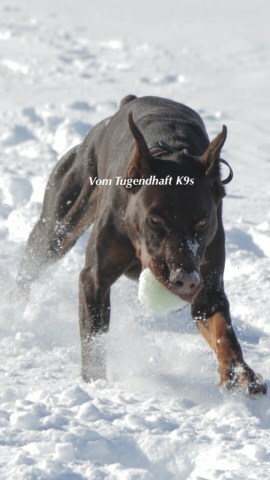 You do not have to be into showing or working to deserve the experience of what a doberman has to offer. 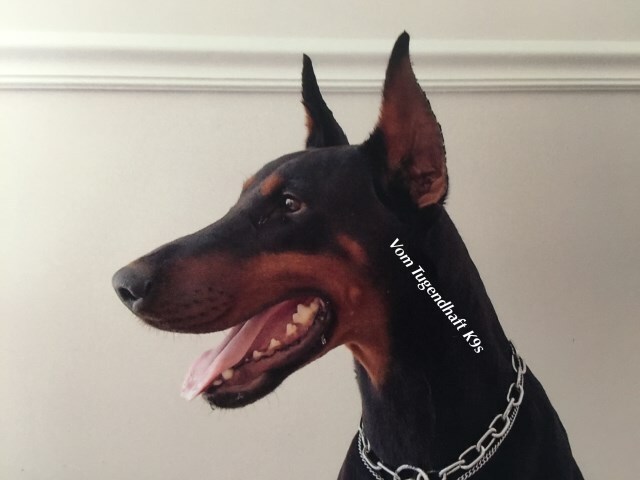 People who own our dobermans will tell you that there is nothing quite like owning one of these amazing breeds. 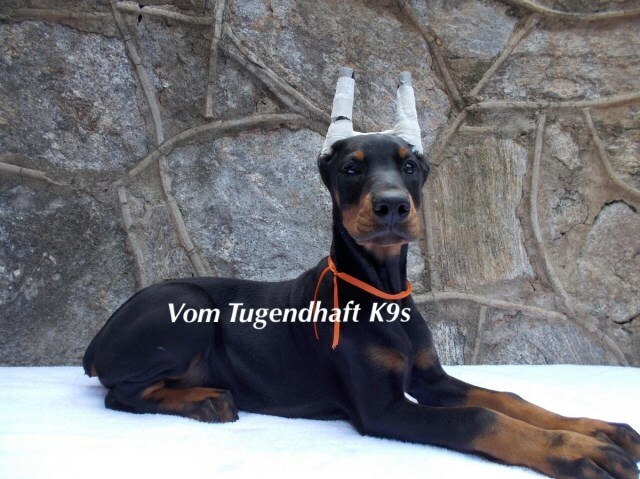 They have EXCELLENT TEMPERAMENTS, with champion/show/working IDC SIEGER LINE pedigrees. 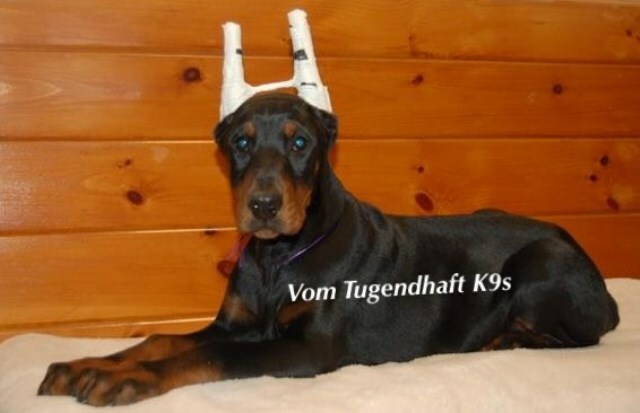 Your new puppy will come with AKC registration, FULL WRITTEN HEALTH GUARANTEE, Lifetime breeder support, age appropriate vaccines, de wormed, heartworm preventative started, tails docked and EARS CROPPED by one of the most experienced ear cropping surgeons. Buyers may elect to have their puppy purchased with natural ears if they choose but our pricing does include ear crops. Deposits will be taken with signed deposit contracts ONLY and we have tons of references including many from law enforcement and military. Discounts given to military and law enforcement. 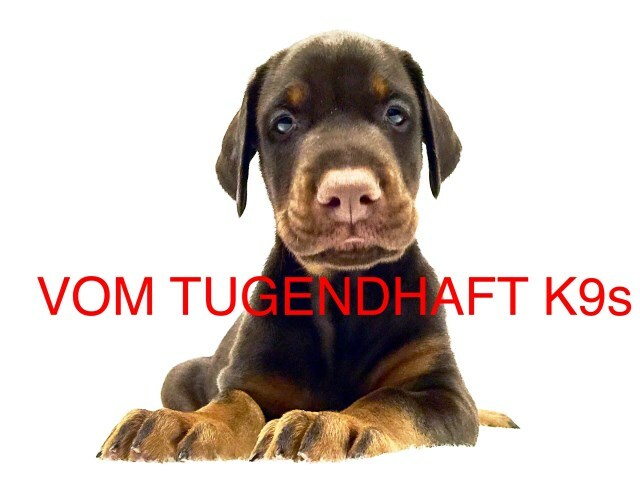 Call or reply above for more information and to set up an appointment to come out and select your quality AKC Doberman puppy that will be elegant in appearance, reflect great nobility and temperament, and be energetic, watchful, determined, alert, fearless, loyal and obedient! Our puppies are located outside of Charlotte, NC. So if you are local you can come out and see them or we do offer shipping for those who are not local. Shipping can be via commercial airlines or by a licensed and bonded k9 transporter that will transport your puppy from our home to your front door and a lot of times the cost is close to the same price as shipping via airlines. SERIOUS INQUIRIES ONLY PLEASE. Lots of references. Contact us by replying above or by giving us a call. Please include your name and contact phone number so that we can get in touch with you.